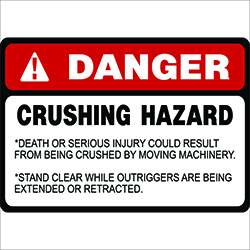 Caution Pinch Point labels visibly mark areas where injuries may occur on moving machinery. Protect hands. Pinch and Nip Points can be a rapid and menacing danger. 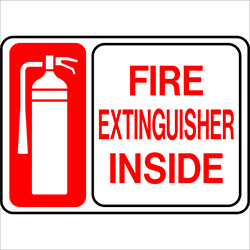 Handy labels warn just when and where a warning is especially needed. 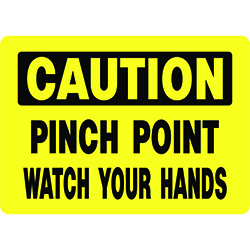 Pinch Point Labels are sure to save workers from accidents and injury. 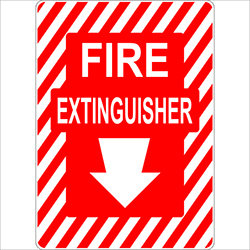 Laminated labels offer superior abrasion and chemical resistance (to oils, solvents, etc.). 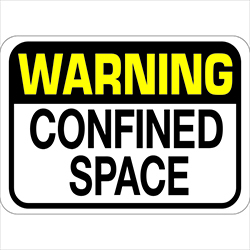 Be the first to review “Pinch Point Labels” Click here to cancel reply.